Many Americans ask whether or not does filtered water have fluoride.For a long time, fluoride has been considered as the most effective substance for teeth whitening and preventing tooth decay. It’s naturally abundant in some minerals such as fluorite and fluorapatite. But, should you be bothered by the fact that fluoride can also be found in all waters at some level of concentrations? Well, in some cases there may be no need for worry. However, in certain circumstances, maybe you should be concerned. While fluoride is great at protecting your teeth, there may be several reasons why it should stay only on your toothpaste and not in your water glass. If used properly and in the right amount, fluoride is considered by many to be good for your dental health. This is why some municipalities agree to increase the concentration of fluoride in their water systems. There are however, many critics that believe that use of fluoride pose some serious health risks to you and your entire family. Does filtered water have fluoride becomes a very important question when considering the following three potential health risks of taking too much of this substance. Overexposure to fluoride can cause fluorosis. Dental fluorosis, the short-term effect, is cosmetic in nature wherein streaks or yellow stains on teeth are observed, as well as brown discoloration of enamel in some cases. Whereas a long-term consequence of fluoride exposure at excess amounts is a much more severe skeletal fluorosis. This disease can become prevalent with the calcification of ligaments, stiffness of joints, and muscle wasting or “Muscle atrophy” as it is best known. While signs of fluoride ion toxicity may be delayed, acute fluoride poisoning can lead to nausea, diarrhea, abdominal pain, vomiting and paresthesia. In worst case scenario, it can even cause neurotoxicity in adults wherein the normal activity of the nervous system is altered. If poisoned, your nervous tissue may be damaged, impairing your capacity to transmit and process information within your brain and your greater nervous system. Studies were made to examine the potential link between excess fluoride exposure and children’s neurodevelopment. It’s interesting to note that some findings have disturbing results. In cases where the naturally-occurring fluoride in water supplies exceed the safe level of fluoride concentration, at (0.7 mg/L), children living in such areas have performed poorer in the tests than those who were not exposed to high levels of fluoride. Unlike other impurities or contaminants in your tap water, fluoride will not be effectively removed or reduced by simply boiling the water. Similarly, fluoride is a mineral which cannot be completely filtered out using carbon filters due to the composition of the substance. And so, does filter water have fluoride? Well, it really depends on what specific filtration process the water experienced beforehand and the water treatment technology used. Fortunately, there are several water filtration or purification methods which are viewed by many users to be effective in removing or reducing the concentrations of fluoride from your family’s drinking water. You can opt from any of the following options, depending upon which you feel best suits your current situation. But before you rush and make your winning choice, it is necessary first to determine the amount of fluoride that is contaminating your water supply. After which, you can then proceed on your quest to finding the best water filtration system that will keep your family protected from the risk of overexposure to it! Many users have tried and tested the efficiency of activated alumina filters in removing fluoride in the range of up to <0.1 ppm. This filter can be installed at the countertop directly attached to your water tap. The type of filtration systems that commonly use activated alumina as filtration media to get rid of fluoride are gravity filters. 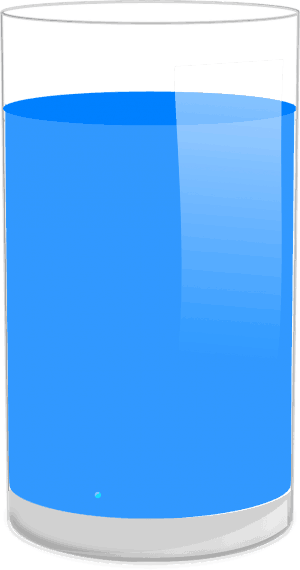 A gravity filter consists of two containers wherein you pour the water into the top container and gravity pulls it down into the bottom container as it passes through the filters. Additionally, there are also some faucet filters that can effectively separate fluoride from your tap water. The filters can be attached to standard kitchen faucets but not to pull-out or pull-down faucets. Homeowners that employ water distillers at their homes pointed out that this process can potentially remove a high percentage of fluoride from drinking water. As the distiller boils the water, it turns into steam and a lot of contaminants are left behind, including fluoride. Other biological impurities are also killed such as bacteria and viruses. 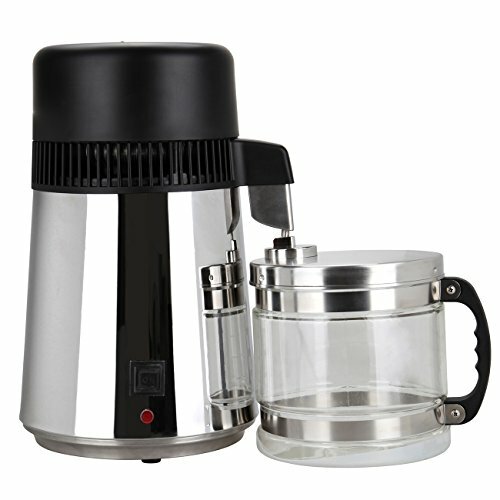 As the steam condenses, it becomes pure again and is collected in another clean container. 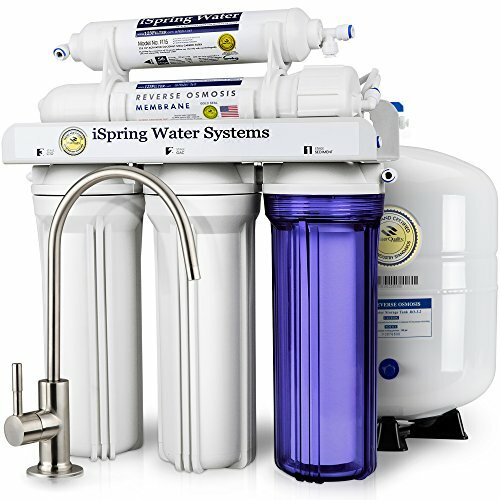 A reverse osmosis, RO, system uses the existing water pressure to push tap water through a semipermeable membrane and then through several water filtration filters? During the filtration process, the contaminants are being separated from the pure water and goes directly down the drain. RO systems are used worldwide and have an outstanding record of filtering a lot of organic and inorganic contaminants, including fluoride. It can be installed under your kitchen sink to hide the components including a small storage tank where filtered water is held until you use it for drinking or cooking. The water travels from the tank to a dedicated faucet on you kitchen sink or counter top. In summary, there are indeed effective water filter systems which can significantly reduce high levels of fluoride concentrations from your drinking water. But the concern of whether, or not does filtered water have fluoride is not the only thing you need be concerned about in your quest to achieve a 100% fluoride-free consumption. Some foods and beverages can also be a significant source of fluoride. For instance, black and green tea may contain high levels of natural fluoride as well. The same goes with non-organic grape juice and wine. So, if you are more concerned about reducing your fluoride intake, you may have to be more conscious about these beverages and even the food you eat..